A near-1% recovery was seen in gold prices overnight and early on Monday, and it was mainly precipitated by news the Abu Dhabi was handing out about $10 billion in financing to Dubai. A rescue package by any other name, the gesture ignited a bit of risk appetite which helped bring gold back from its one-month lows recorded on Friday. The US dollar was not trading significantly lower at last check, however. The trade-weighted index showed the greenback hovering near the 76.50-mark, and crude oil marginally lower, at $69.50 per barrel. Meanwhile, data from Europe indicates that there is still not too much to be cheerful about as regards the zone’s economic conditions. The latest report from Capital Economics over in the UK shows that: "October’s fall in euro-zone industrial production is a reminder not to get too excited about the strength of the recovery. The 0.6% monthly fall in production was broadly in line with expectations following a sharp fall in German output. The particularly sharp drop in production of consumer goods is a worrying sign that firms do not yet see the recovery spreading to the household sector." To which, we might add the fact that said European households, as surveyed by Bloomberg, "believe the worst of the economic crisis has yet to feed through to the labor market, the European Union said, citing a Eurobarometer survey. Some 54 percent of respondents "believe the worst is still to come regarding the impact of the crisis on jobs," while 38 percent say it already has reached its peak." Against the Dubai news-inspired mildly bullish background, spot gold advanced to $1122 per ounce, and was showing a gain of $7.30 per ounce at last check. While the odds of a sharp recovery rally have increased somewhat (see below) for the week, the focus remains on how far down and for how long the gold correction will take prices. Silver was ahead by about 9 cents at last check, quoted at $17.22 per ounce. A larger advance was once again seen in platinum (up $12 at $1439) and in palladium (ahead by $6 at $364) as perceptions of improving demand from industrial and jewelry users buoyed the noble metals. Rhodium showed no change, and was quoted at $2040 per troy ounce. There is still a wealth of US economic data coming our way during this week, not to mention a Fed meeting. Thus, once again, there remains the risk that that which starts out as a nice bounce, ends up becoming a selling opportunity for some — just as was the case on Friday — and that prices end lower when it is all said and done. Weekly review analysis from Gold Essential.com over in Belgium also reveals that: "The [market’s] sentiment has been shifting over the past few sessions. Up to mid last week, dips — which had been shallow — were instantaneously seen as entry points. However, any recovery from price dips seems to serve up to better levels to sell, rather than to enter fresh long positions. U.S. data [has been] working in favor of the greenback, rather than in favor riskier trades, including gold. This effect started after the release of last week’s better than expected U.S. payrolls data, and seems to be a significant short-term shift, indicating that there’s some life back in the dollar. The dollar seems ready to regain some composure, and this may very well spark further liquidation into year’s end, said Matthias Detremmerie at Goldessential.com. CFTC CoTR data late on Friday confirmed that speculators had trimmed their excessive long positions in the week to Tuesday, December 8th. Investors were also taking profit over the last week, as the global by Goldessential monitored bullion backed exchange-traded funds saw holdings falling a significant 19.7 tonnes, the most since September 2008." BNP Paribas, in its monthly review of gold price activity, indicates that: "The severity of the [recent] price fall was probably due to the weight of gold longs, who decided to take profits and exit. Given that much of the additional investment seen in October/November must have been over-the-counter (as ETF and coin purchases were steady but not spectacular), it is hard to be sure how much has been liquidated and whether there are further falls to come." "There are a number of reasons why this is unlikely. Historically the price has never been at that level. The highest it has ever reached was about $2,331oz if you take the 1980 peak of $850/oz and inflate it by the US CPI (and then only for one day). Gold’s historical price movements do not suggest it is about to leap to $3,000/oz. Running a random simulation of possible gold outcomes based on historical average price movement finds there is only a 10%-20% chance that gold will be at $3,000/oz by 2018." Fifth, the effect of rising sovereign risk on gold prices is ambiguous, as the events of recent weeks suggest. A risk in such risk could push up the price of gold if it leads to expectations that central banks will eventually monetize those fiscal problems. But in practice it has weighed on the price of gold because it has increased investors’ risk aversion and led to a rush into a different (and more liquid) asset than gold–e.g. the U.S. dollar–thus pushing gold prices down. In general, gold always competes with fiat currencies and anything that is dollar bullish–like repeated bouts of global risk aversion–tends to be gold bearish. iStock Analyst delves into the professor’s assertions and finds that: "At the heart of Roubini’s argument is a principle that is self-evident when one looks at the price dynamics of various asset classes today: that inflation is still in check. Thus, the gold bugs are wrong–or at least very, very premature–in justifying buying gold as an attack on fiat currency. The velocity of money is still low or falling–the opposite of a currency crisis or run on the dollar. As a further indication of the collapse of credit/money multipliers, indicators of expected inflation are subdued or falling, despite governments printing money (excess reserves). The high inflation scenario may be constrained even if/when easy money gains too much traction, as the yield curve would steepen sharply, raising the discount rate for risky private sector debt and for corporate equity, limiting the speed of the recovery and hence the ability of states to impose inflation surprises in the context of shortening average debt maturities." None of the above negates our basic argument that gold ought to be a part of what one assumes to be a reasonably well-diversified and protected-against-uncertainty portfolio. At about the 10% level, or so. The notable difference is that there are some who would have an investor heavily overload in the asset and expect outcomes which look more like Mad Max or Terminator as regards the US, and the rest of the world. The other notable difference is that the asset may not be a cure-all for every portfolio, and that elderly people, heavily dependent on income from assets, or those whose assets are intrinsically too small to be considered a ‘portfolio’ may not only not benefit from such insurance, but may actually be placed at risk by its intrinsic volatility and yield profile. As James Turk has repeatedly pointed out, gold is ‘not an investment’ but rather, a form of savings that pays no interest and yields no dividends. "According to GFMS, in 2008, mine supply was 2,415 tonnes, declining for a third year running. His also undershot the all-time high of 2,645.7 tonnes (2001). However, due to the high gold price, 2009 production should beat 2008. If mine supply is rising due to the higher gold price, the pressing question is: How much gold remains in the ground? While it is something of a moving target, we have made some estimates: The global gold reserves in 2008 have been measured at 47,000 tonnes (according to the USGS). Reserves are defined as gold which can be economically extracted or produced at the time of determination. At the current mine production and the 2008 gold price, this equates to 19.5 years of production. The gold reserve base has been measured at 100,000 tonnes. The reserve base is defined as reserves demonstrated to be in place, but could encompass those parts of the reserve which have a reasonable potential of becoming economically available. Given current mine production, this equates to 42 years of production. However, the gold price used in these estimates is the long-term price as of 2008. We believe during the last two years, the long-term price for gold has shifted substantially higher, as the marginal oz of mine production has become more important. Therefore, the reserve base could be much greater. Also, potential world gold resources could be large. For example, the US estimates its gold resources (identified and undiscovered) at 33,000 tonnes. Given that the US gold mine production is 10% of global mine production, if you assume gold resources are proportionate to current mine production, global resources could be 330,000 tonnes. That is another 137 years of production. GFMS estimates that in 2008, the 90th percentile of gold production was around $800 on the total cost curve. 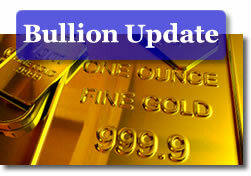 A higher gold price could mean increased production."